Please sign this petition to express support for the transformation of 504 Church St. in Waynesville NC from a homeless encampment into a small local business. Constructing a residential home is not a viable option for this property and the lot deserves a zoning exception. 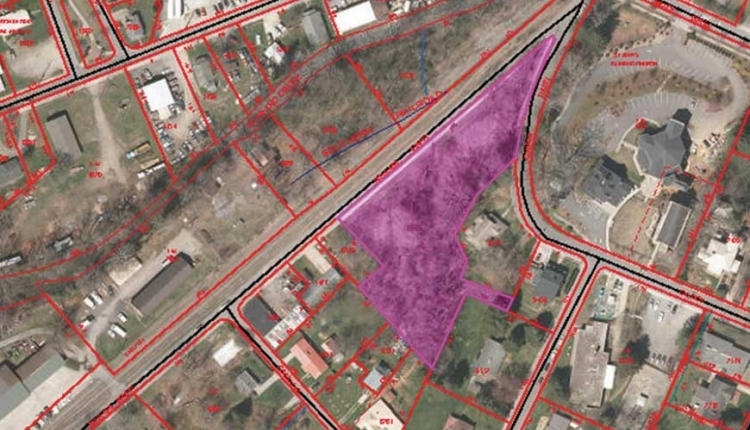 We hope our signatures help convince Town of Waynesville Officials to approve a Special Use Permit for lot owner Ron Muse to construct a mini-storage facility. This change would positively impact the entire community and would help the area grow in a way that is orderly and serves the public interest. 504 Church St. presently has a zoning classification of Neighborhood Residential District under the Zoning Ordinance of the Town of Waynesville. Most of the houses in this neighborhood were built over 50 years ago and currently, this undeveloped parcel struggles to keep up with the times. Existing zoning regulations present a practical difficulty in making use of this plot. Property owner Ron Muse wants to transform the 1.5 acre parcel into a mini-storage facility if the Town approves a special use permit for this lot. The signers of this petition do not believe in the success of constructing a residential property at this address primarily due to the growing influx of homeless that drift along Richland St., following the path of the railroad tracks directly across from 504 Church St. However, we believe Muse’s proposed construction of a mini-storage facility would be an excellent use of this land. The enduring vacancy of this plot, coupled with its’ location along the path of vagrants has resulted in a large homeless encampment that creates problems that impact the homeless population, impact the environment, and impact the larger community. We politely ask the Town of Waynesville to approve a Special Use Permit for 504 Church St. A Special Use Permit would help transform the ever-growing homeless encampment with a mini-storage facility would improve the neighborhood’s safety, which should be of top priority to Town Officials. The potential dangers to the community if Town Officials continue to ignore the homeless encampment include criminal activity by the chronically homeless, threats to the viability of businesses on Frog Level and Main St., illegitimate use of residential space, and costs to taxpayers that fund police and social services. Granting a Special Use Permit to construct a mini-storage facility on 504 Church St. would help the area grow in a way that is orderly and serves the public interest. The Support a Special Use Permit to transform Homeless Encampment into Industry petition to Town Of Waynesville Development Services Department was written by Abigail Green and is in the category City & Town Planning at GoPetition.